For most of us in the UK, a lovely big kitchen is simply not an option. Much as we’d like to have a cooking area the size of the tent in The Great British Bake Off, a small space is often all we get! Using larger tiles on the walls and floor will also help, as with a less busy aspect, i.e. with fewer grouting lines on show, the brain is fooled into thinking there is more space. Light colours will reflect the light, keeping the room bright and giving it the illusion of space. You don’t have to stick with white to achieve this as lighter shades of cream, yellow, grey and other colours will work well too. Once you’ve chosen your colour, keep it consistent throughout the room – a range of different colours together will distract the eye and make things appear more cramped. If you don’t have much natural daylight, use artificial lighting to help brighten the room and make it look bigger. Add subtle lighting under shelving, inside cabinets and even as a trim under the floor-standing units. 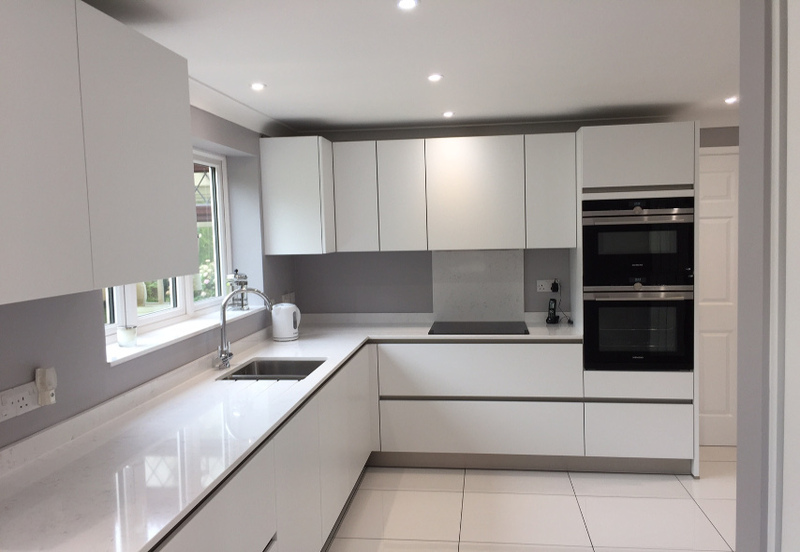 The use of reflective surfaces will also help by making the room lighter, so choose cabinets with a gloss finish, and use glass for cupboard doors and splashbacks. 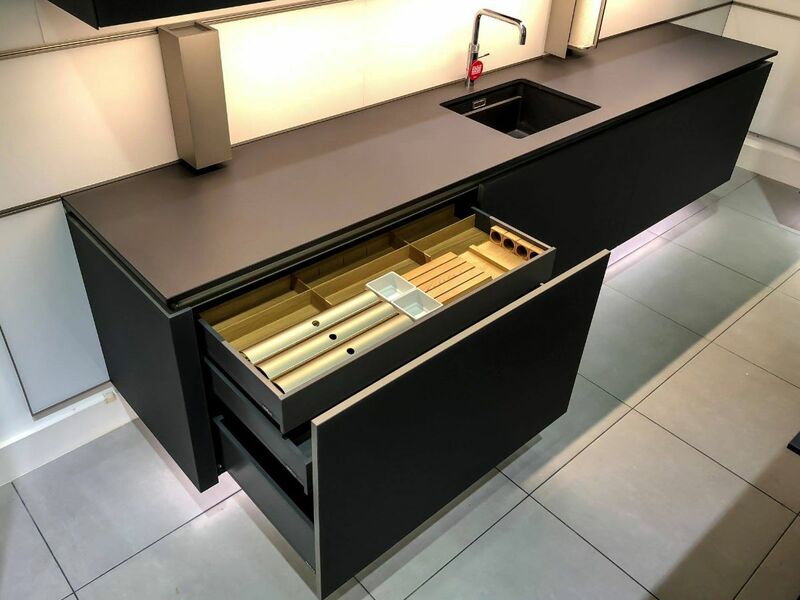 Interestingly, open shelving or glass-fronted cabinet doors will also help make your kitchen look bigger as there will be more space on view. Open storage will also encourage you to keep things neat and tidy, and declutter on a regular basis, meaning you’re more likely to use food up rather than finding it hidden at the back of the cupboard a long time after its sell-by date! 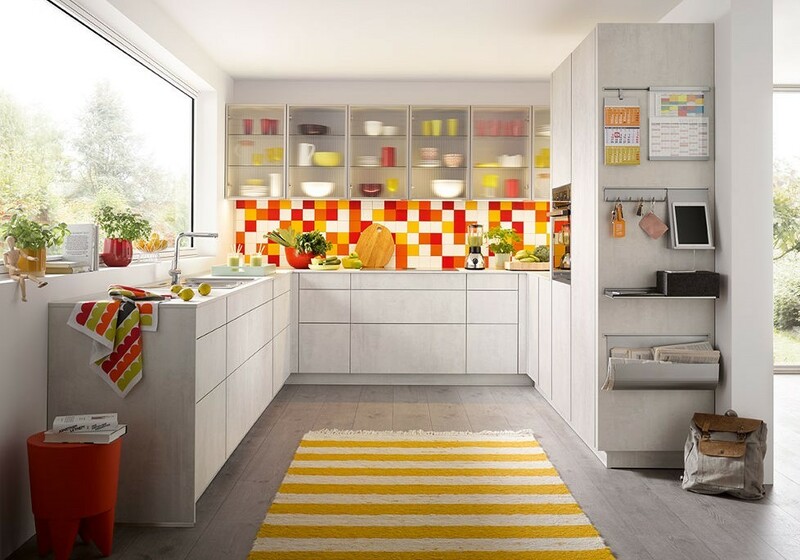 If you have to keep kitchen equipment on display, for instance, kettles, toasters, food mixers, etc., try to ensure they blend in with your colour scheme as this will also make the room feel less cluttered. 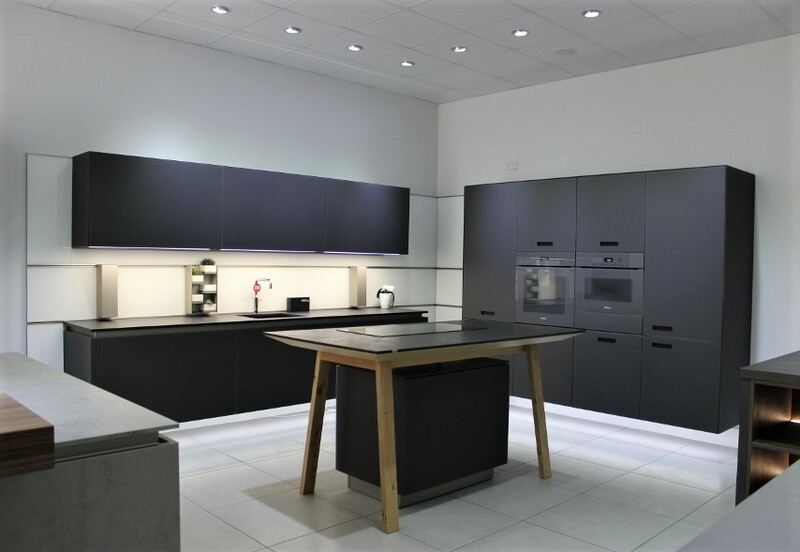 Visit our Cheshunt showroom to see how our Schüller kitchen ranges could fit your space, and talk to one of our friendly experts for kitchen design advice.